Strap happy sandals! Add Waverly to your summer collection. This flat strappy sandal features a large metalic finish stretch strap and low jute wedge heel. 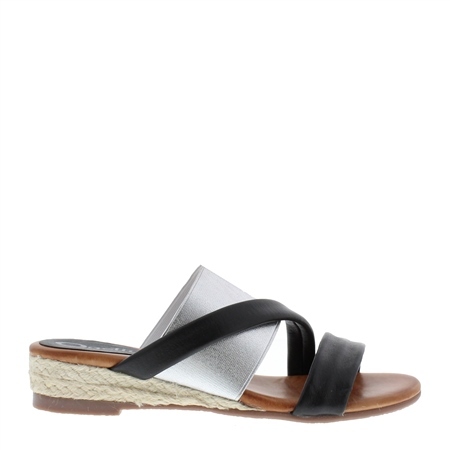 These sandals are easy-to-wear with its black and silver colours and slip-on style and low wedge for a lift you'll barely feel.